Mexico’s congress passed a resolution urging the U.S. to facilitate asylum cases involving Mexican citizens. 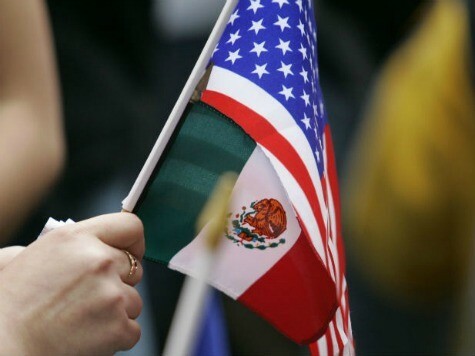 On Jan. 15, KHOU 11 News in Houston, Texas reported that Mexico’s congress wants the U.S. to ease up on granting asylum to Mexican citizens who claim to be victims of violence in their homeland. The legislation was introduced by Mexico’s Sen. Maria de Guadalupe Calderon Hinojosa, former Mexican president Felipe Calderon’s sister. Breitbart News found that in 2012, 66 percent of the immigrants making asylum claims did not appear in immigration court after being released on bond or their own recognizance. “The numbers from the DoJ indicate a growing crisis in the system the United States uses to grant asylum to international refugees, as the immigration courts are overwhelmed by cases from Mexican immigrants that rarely result in asylum being granted,” stated the report. “In raw numbers, Mexican immigrants made 9,206 asylum claims in 2012 but were only found by the immigration courts to have 126 claims worthy of being granted,” added Breitbart News.